Movies in which a dead body motivates the plot are all over the world of cinema. From comedy to horror and everything in between, dead bodies are bound to pop up where you least expect them. When you think about it, dead bodies are incredibly useful in films. Whether a character is trying to ditch a body or use it to get something that they need, there’s really no end to the ways that a body can help out in a pinch. This list takes a look at some favorite movies where dead bodies are integral to the plot. When most filmgoers think of dead bodies, they’re probably imagining jump scares and spooky music to go along with said bodies, but corpses can be funny if you just give them a chance. For instance, in the film Swiss Army Man, a decaying carcass played by Daniel Radcliffe helps Paul Dano work through some serious mental issues while allowing him to escape a deserted island in a way that can only be described as Marquez-esque. And in the VHS classic, Don’t Tell Mom The Baby Sitter’s Dead, a dead body is simply the catalyst from which the plot is allowed to bloom. Keep reading to find out which films make dead bodies integral to the plot. 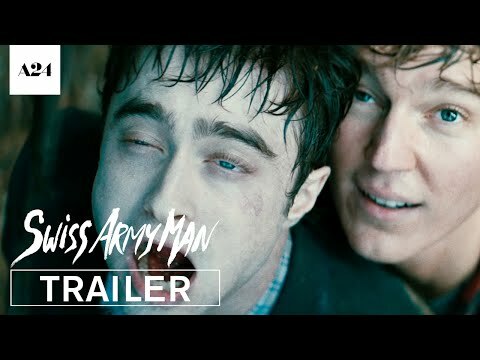 Swiss Army Man takes the concept of palling around with a dead body and ratchets it up to 11. Paul Dano plays a suicidal man who's stranded on a deserted island until he finds Daniel Radcliffe's bloated, dead body and forms a strange relationship with it. Bosses are the worst! Especially when they're trying to kill you for discovering their insurance fraud. 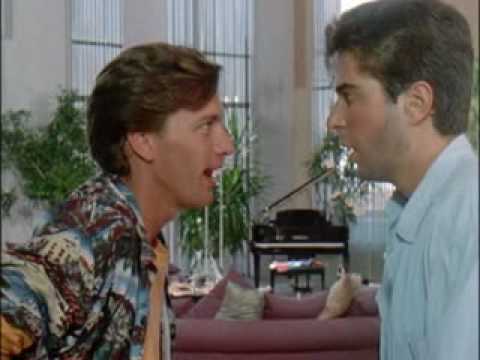 Somewhere along the way Bernie (the boss) dies and the two subordinates he was trying to kill have to party with their boss's dead body until they make off with the money he was laundering. While it might seem light on plot, it's heavy on dead body party fun ~'80s style~. Pyscho is the tale of a man who loves his mother, it's just that his mother has been dead for about 20 years. But that doesn't mean he can't still be a good boy, dressing up in her clothes and telling her how his day has been, does it? In this film, the killing of Melquiades Estrada is the catalyst for an examination of US/Mexico border relations, as well as a character study about how far a man will go to honor the dead. Estrada's body travels from Texas to Jimenez, Mexico in this Cannes Film Festival darling.